Happy Friday AND the last day of July! Can you believe summer is almost over? Last year I thought THIS would be my summer. I could go to the pool, relax let Miss H play by herself and make little friends. Ha, who was I fooling? Maybe next year will be the year. Well, I’m linking up with some fabulous bloggers (see my list in the drop down above) to share my Friday Five! It’s hard to believe that school is beginning again soon and the pools will be closing for the summer. Next week is the last full week that many of the municipal pools are going to be open during the week and switching to a weekend schedule. That means I need to get as much outdoor pool time as possible! We purchased a Splash Pass where we could go to a good chunk of the local pools. Great money saver – now I’m just hustling to try to use a lot of it up! On Monday we went to the Pavilion at Lemay. Of all the pools we went to this summer, I may have to say this is was my favorite. It had platforms in the pool where Miss H could feel comfortable jumping off the edge, and she did for almost the entire hour. We picked up some rings at Target because she loved them during swim lessons. She just loves to toss them and pick them back up. On Thursday we went to the Webster Groves Aquatic Center with cousins Marcy & Eleanor. This was a really nice pool. Miss H enjoyed it despite being a little crabby. There was a splash pad area and we went back and forth. This will definitely be on my list of pools to return to next summer. Really nice, not super busy and friendly moms! You don’t find that everywhere! Tomorrow we are taking Miss H back to the Pavilion because I loved it so much and hubs wants to have a fun family morning! As you may have seen on instagram, this week I’ve been a baking fool! I’m not sure why I felt so inspired to get in the kitchen, but I’m glad I did. I can’t stop eating the Double Chocolate Zucchini Bread, it’s so good! I made homemade ice cream and blackberry crisp – because we’re all about the oat streusel over here! 3) Shout Out to J. Crew! Last weekend J.Crew was having some amazing sales on their summer collection – can you say 75% off and free shipping? I opted to pick up a few goodies for Miss H for next year because really, a tankini for $11? Yes, please! Well, I ordered this adorable suit for her, and it came today and the top is a 3 and the bottoms were a 4/5 and it was final sale. Being kind of bummed, I called Customer Service to see what next steps would be as the suit was now sold out. The nice guy on the phone ended up just giving me my money back, said to keep the suit (and put in on my dog), and that he’d let me pick out any new suit and charge me the same amount as the $11 tankini for any suit $55 and up. Score! I was able to get this suit (still full price – as I’m not spending any more than $20 on a suit) and it’s so adorable. I kind of wish I had gotten the guys name because he was top notch. It’s so nice to deal with a customer service rep who actually puts the customer first. Definitely exceeded my expectations, and I let them know on twitter! On Monday, I had the opportunity to participate in my first Hangout with some fabulous ladies Marie, Anna & Kiki. 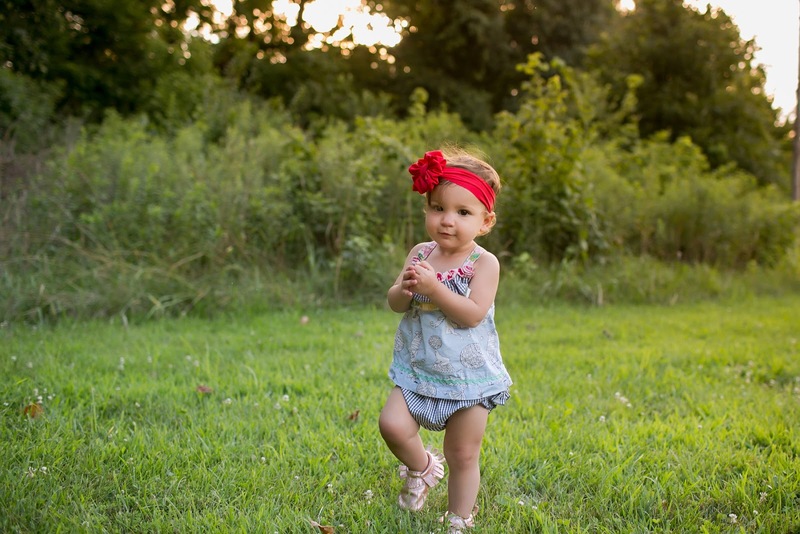 We are all going to be participating in MOPs this fall and the theme is A Fierce Flourishing. 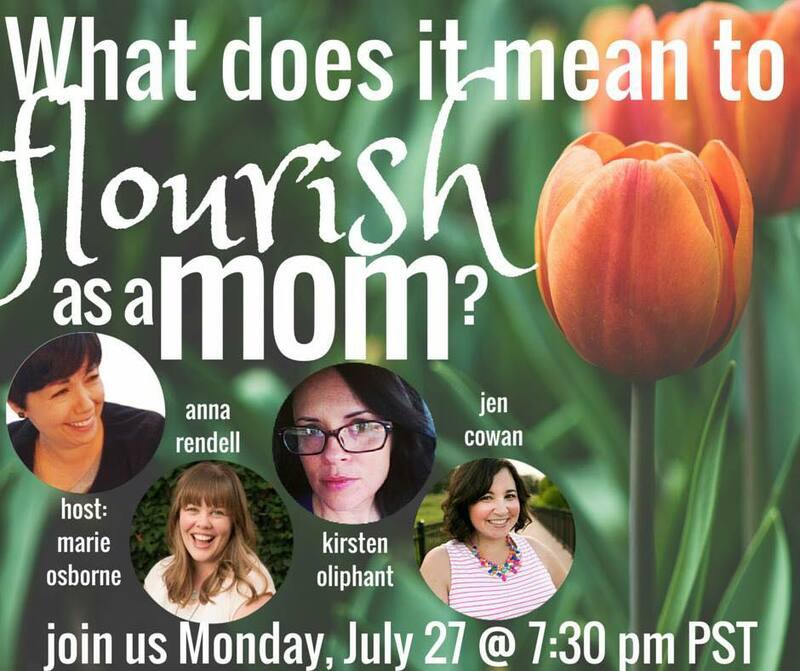 After a technical issue, we had a great opening discussion talking about what it means to flourish as a mom in the early years. We’ll be exploring this further as the year goes on, but I think it definitely got the discussion ball rolling. If you’re interested in seeing our chat, you can find it on YouTube! 5) Last Day for FP Giveaway! Today is the LAST Day to enter to win a pair of Freshly Picked Moccasins! We have been wearing ours constantly and you can now see her little toe impressions on the bottoms. So cute! I mean really, shoes make an outfit, right? Wow, that Chocolate Zucchini bread looks amazing! I wish we had better pools where I live. We have a splash pad, but none of the pools are very interesting. We really need to go check out some STL pools, they all look like so much fun!! Happy weekend! !